It would appear that the documentation change I suggested to the DoctrineMongoDBBundle within Symfony has been pushed to the Master today. I wonder what I can contribute to the Symfony community next year. 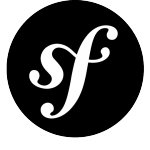 Back in April we saw the first BETA release of Symfony2. Since then we’ve seen 5 beta versions, but earlier today the final version of 2.0 was released. So I’m left with the question on the back of my mind, how many companies will be upgrading their projects from 1.x? Or will they just accept that their existing projects are staying on 1.x and new ones shall be commissioned to build replacements on the new platform?